Located in Mechanicsville, Virginia, Medek Tree Service, Inc. has rightfully established the reputation as being one of the finest privately owned tree service companies in the area; our reputation is built on superb work, and customer satisfaction. We bring meticulous care to every job and are qualified to handle any size or type of residential, commercial, private market, municipal, governmental, or federal project. Our experienced team serves a wide variety of clients including colleges, parks, schools, nursing & retirement homes, golf courses, business complexes, churches, restaurants, apartments, right-of-ways, contractors and so many more. 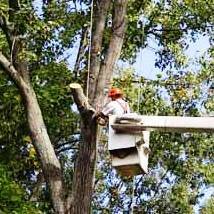 If you are looking for a knowledgable, reputable, professional, and reliable tree service, that can handle your tree care needs, then you have found the right company, we welcome an opportunity to put our team of experts to work for you.